The Classic Mustang Club of Sweden joined The Cadillac Club, The MoPar Club, the Corvette Club, the Camaro Club, The Swedish Hot Rod Association and many more made a great showing at the 2018 Power Big Meet! Over 200 Ford Mustangs came to the showground. 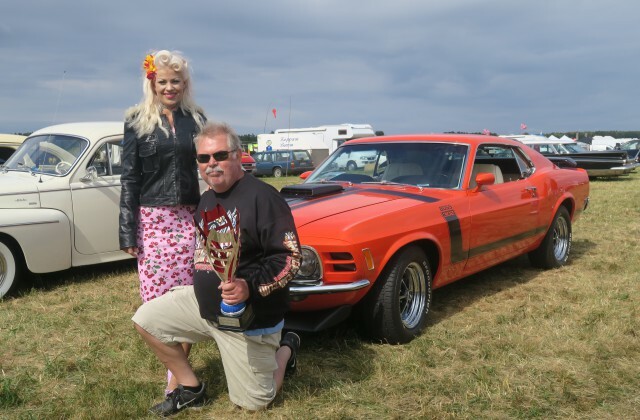 Winner of the 1963-74 class was Tord Person and his incredibly restored 1970 Mustang Boss 302. Picture shows Tord and Miss Power Meet 2018. 1,5 kilometers of swap meet at Power Big Meet 2017 was very impressive! 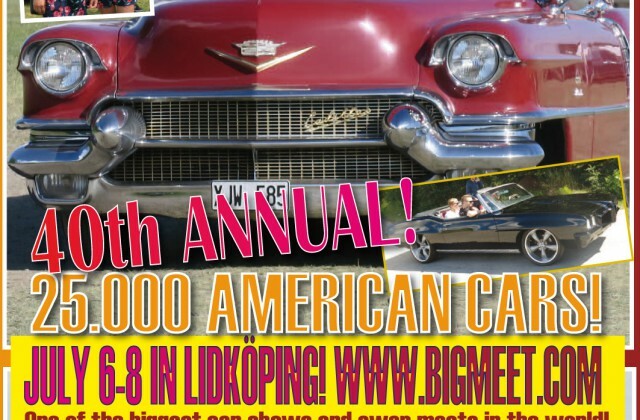 You hade to be in Lidköping in person and walk the walk to take in HOW BIG IT WAS! 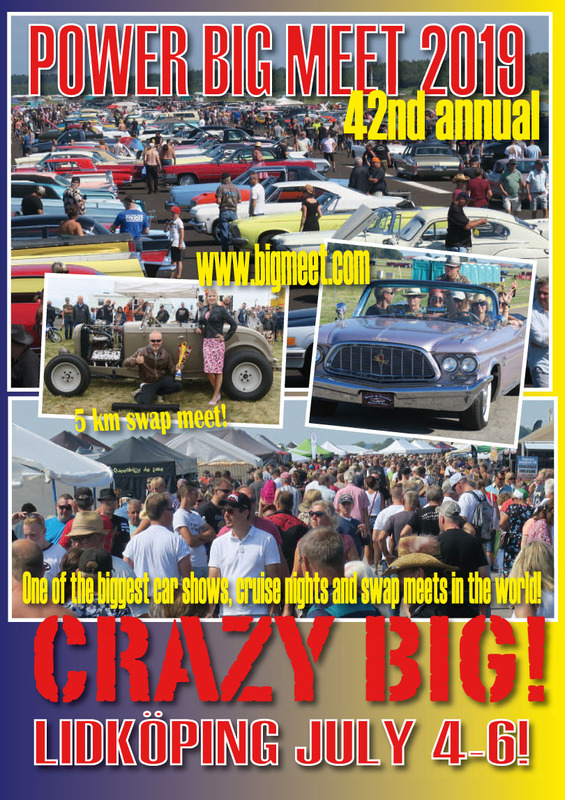 Vendors report brisk sales and the number of old car parts vendors astonished many new visitors. Much better than swap meets in the USA was a common comment! Reason for this that so many old car parts were bought in the US by Swedes 20-40 years ago when the parts had almost no value! SO MANY CARS – SO LITTLE TIME! Power Big Meet 2017 was a hugh car show. 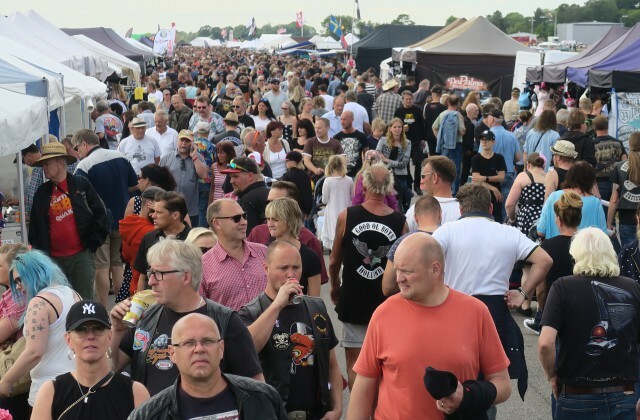 3 days and about 22.000 cars may have been less than last years figure of 25.000 cars but there was a car show at our old venue in Västerås – so figure the math! We are very pleased with the car count and the fact that so many enthusiast from Holland and Germany made the trip north. Probably 4-500 cars from these two countries! We had many visitors from Austria and Switzerland too. A contingent of cars from Moscow, Russia took us by surprise! We hope all of you had a great visit to the great north. Welcome back next year! 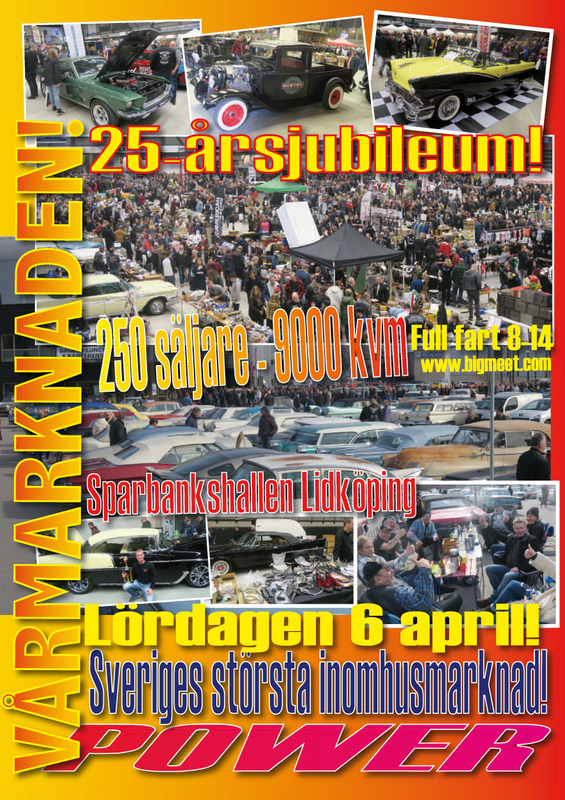 Biggest indoor swap Meet in Scandinavia. October 26 – POWER HÖSTMARKNAD i Vara. GET YOUR 2018 BIG MEET LICENSE PLATE!